There are numerous reasons why drivers choose Burlington Volkswagen. Proudly serving Burlington, Willingboro Township, Hamilton Township, Cherry Hill, NJ, and Levittown, PA, our teams of sales advisors, service technicians and financing experts are trained with one focus in mind: addressing each of your needs with the utmost respect, care and attention to detail. That means you can expect to learn all of the features of the specific new Passat, Golf GTI, Golf SportWagen, Jetta or Beetle you’re interested in. In the market for a used car? Our team will be happy to fill you in on each of the reliable options in our inventory. And when the time comes for you to drive home your next car, our auto finance team is standing by with solutions to fit your individual needs. At Burlington VW, our commitment to excellence does not end with the sale, though. In order to ensure a positive ownership experience, we staff an onsite auto service and repair department. And for those of you who prefer to perform their own work, we also maintain a vast collection of auto parts for sale in Burlington, NJ. 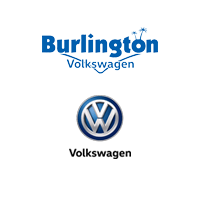 Burlington VW truly has every one of your automotive needs covered. The only question left now is how we can best serve you. To take advantage of any one (or more) of our services, be sure to contact us today. Or, stop by and see us in person at 4500 Route 130, Burlington, NJ, today. Thank you for visiting our virtual showroom at BurlingtonVW.com Burlington Volkswagen was established in May of 1996. It is interesting to note that new Volkswagen models have been sold from this establishment for over 50 years. Our Volkswagen showroom was completely reconstructed in 2003, and is a beautiful state of the art Volkswagen Market Place. Over the years we have enjoyed a warm and wonderful relationship with all of our customers, friends and the families of Burlington County and beyond. Our General Manager, Marcus DeAngelis , a Burlington County resident, is very active in the community and has been publicly recognized for his many contributions by the city and township of Burlington. Burlington Volkswagen welcomes you. Marcus and his staff of automotive professionals are ready to address all of your professional needs.